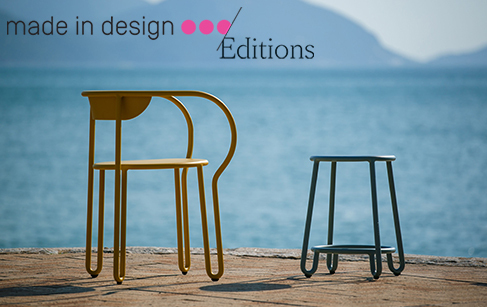 The Made in Design success story is starting a new chapter by editing a complete collection of objects, furniture, lamps and textile accessories. The selected creators represent young French designers: François Clerc, Catherine et Bruno Lefebvre, Guillaume Delvigne, Vincent Eschalier, Gaëlle Gabillet, Adrien de Melo, Renaud Thiry, Bertrand Médas, Victoria Wilmotte. Exigent, creative and endowed with a real sense of humour, they were all chosen because they defend what Made in Design believes in: an approachable design, which simplifies everyday life with refined and conspicuous objects.